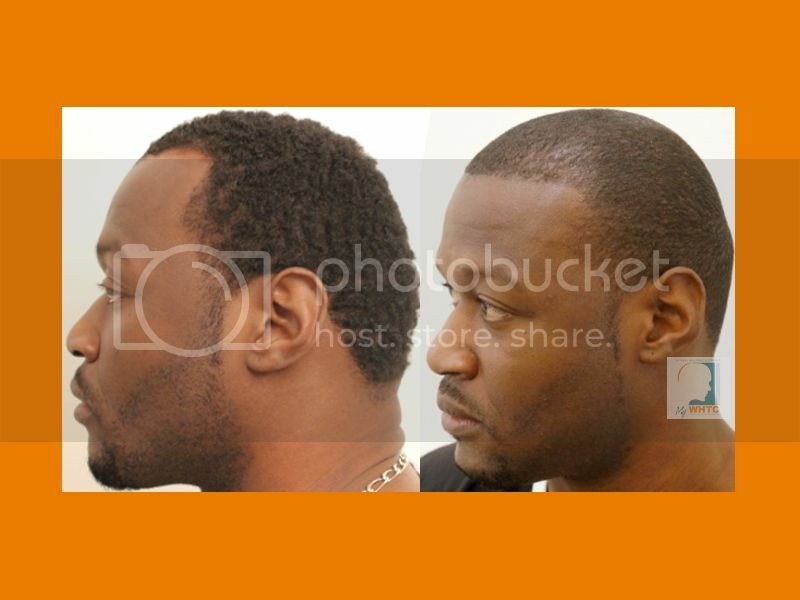 This thirty-seven-year-old patient came to see Dr. Patrick Mwamba at MyWHTC where the frontal hairline and temple peaks were treated with 1240 FUE by FIT grafts in one session. The patient has coarse, curly black hair and dark skin with average donor density. 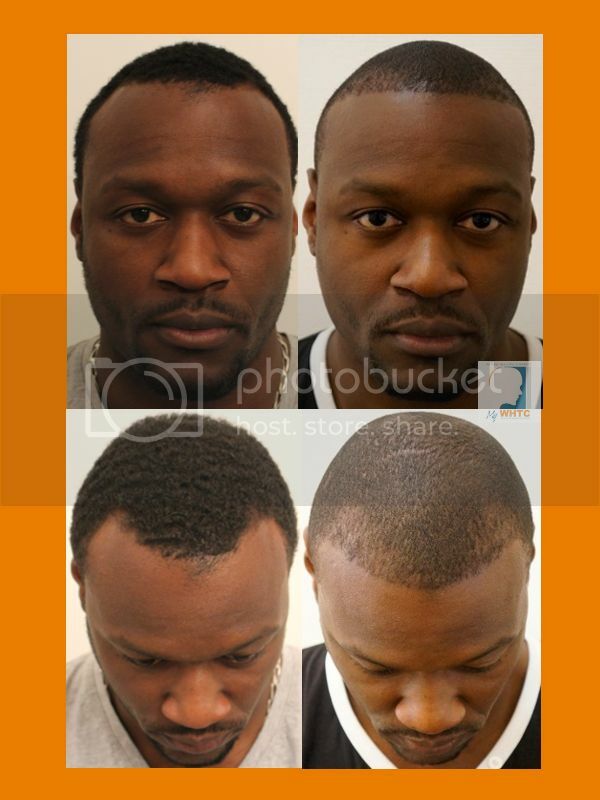 Curly hair poses a significant challenge to implant due to its natural curvature that continues well beneath the skin. 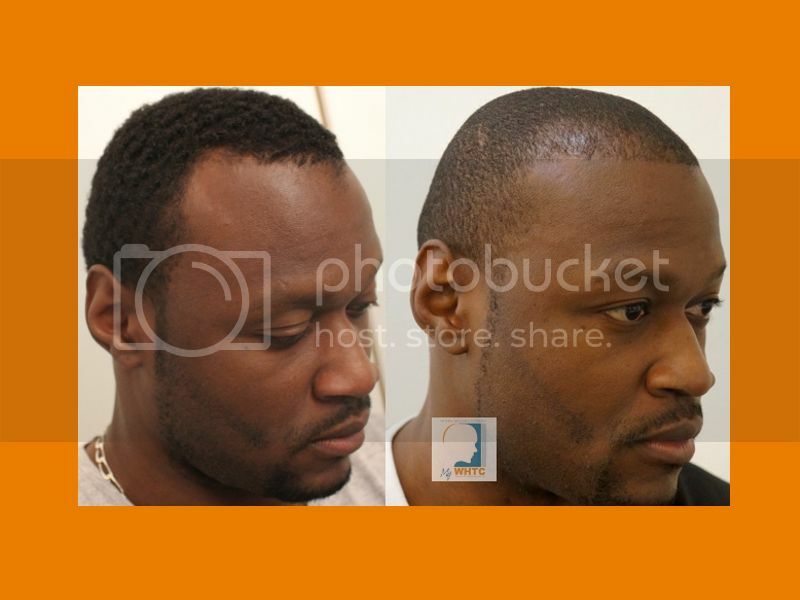 In order to successfully perform follicular unit extraction (FUE) in these particular cases, a high degree of dedication and strict preparation is required. Below are the five-month results produced by our well-experienced medical staff in Belgium, Europe. The early growth is acceptable, and already the patient is happy with the noticeable improvement. The meticulous work involved in this case has done wonders for the patient’s confidence. We can expect even more coverage to be visible in the next seven months.